Juniors Belle's Story Time. 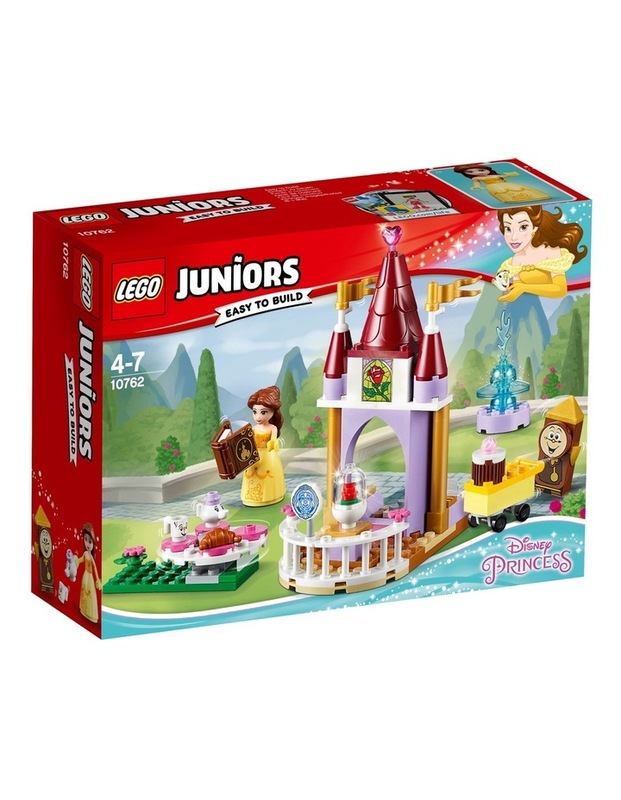 Plan a tea party and enjoy story time with Disney Princess Belle and her friends in this fun LEGO Juniors. Belle's Story Time set! 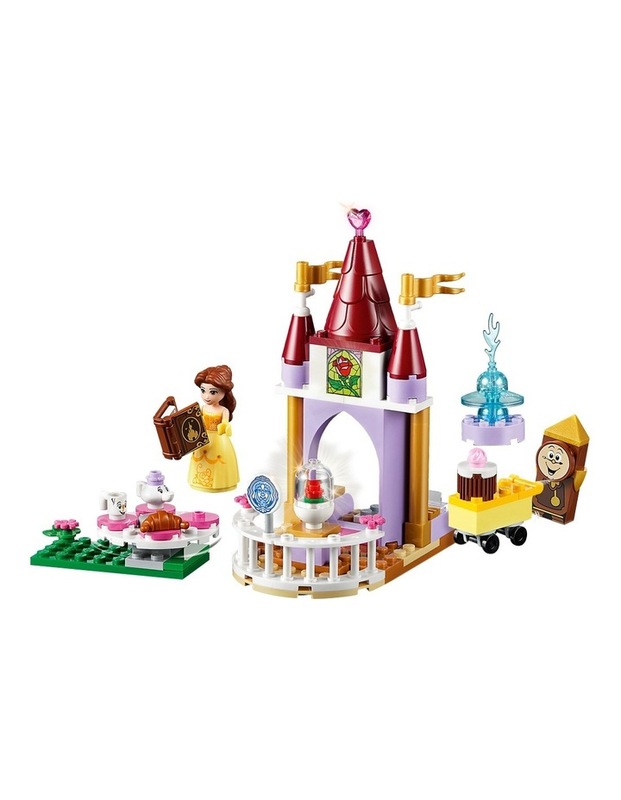 The set featuring a princess castle with Starter Brick element, balcony with a magic rose under glass, turrets and a spinning turntable. There's also a park base with spinning picnic table, buildable water fountain and a trolley, plus a storybook element for Belle to read from. This LEGO Disney Princess set includes a simple guide to build and play, to help build confidence in younger children. 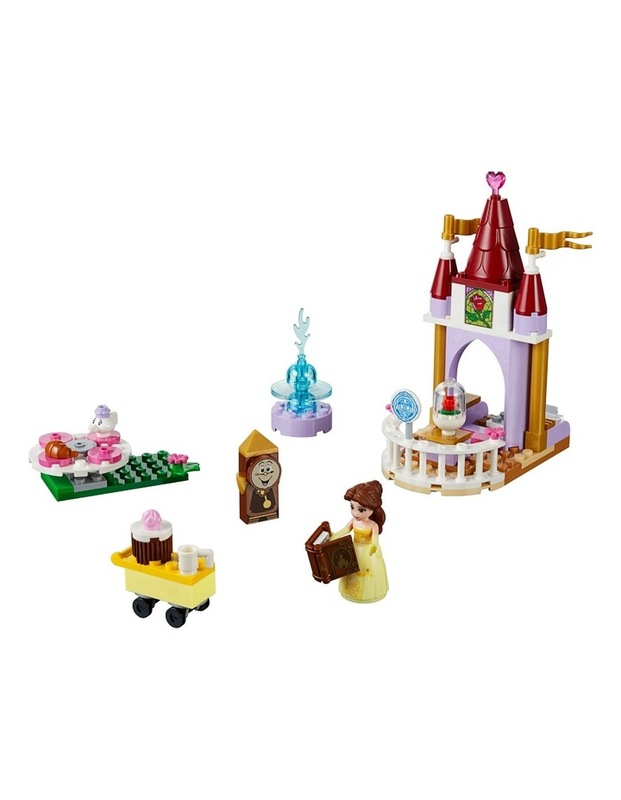 Includes a mini-doll figure, cup and teapot figures, and a buildable Cogsworth figure. Age: 4 ; 87 Pieces. Style no. 10762.